If you’ve ever seen the documentary OFFICIAL REJECTION that my husband, Paul Osborne, directed and I produced, then you are well aware that the Phoenix Film Festival is our favorite festival on the independent film circuit. It’s run by filmmakers and well-organized; the quality and caliber of films they show is sophisticated and impressive, and they know how to throw a hell of a party. 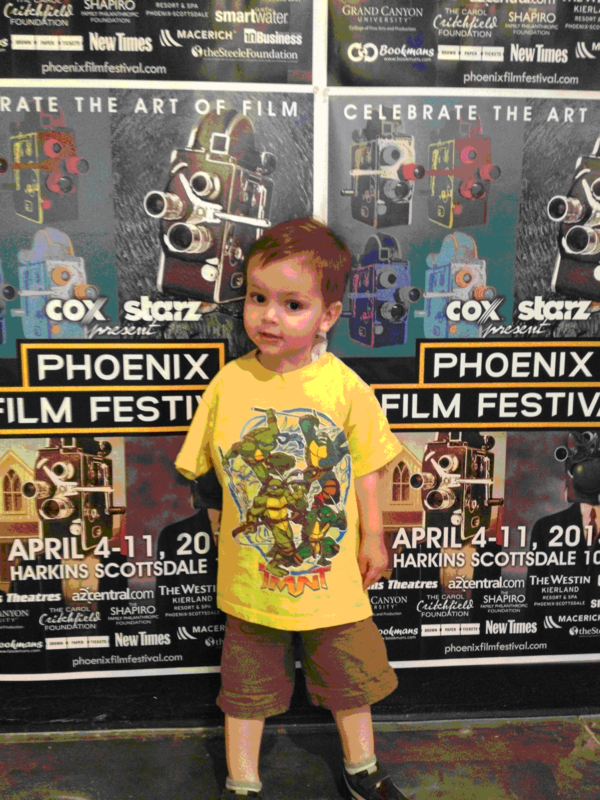 Paul and I had the privilege of attending the Phoenix Film Festival (PFF) this year as our narrative feature, FAVOR, was selected as a competition film for 2013. Paul first encountered the fest in 2006 when the first film he wrote and produced, TEN ‘TIL NOON, was selected as an entry. We participated in the festival again in 2009 with the aforementioned OFFICIAL REJECTION, and Paul has been invited back the last two years when the festival has given an encore performance of OR. Wednesday morning, Paul, our two-year-old son Liam, and my two step-kids Andy (10) and Elli (15) piled into the car and got on the road to Phoenix at 5:30am. We like to get out of Los Angeles before rush hour begins and arrive in Phoenix…well, before rush hour begins. Because we were bringing all three kids, Paul’s parents offered to fly out from Hawaii to supervise and also get in some quality visitation with the kids. In lieu of renting three hotel rooms for five days, I opted for a rental house conveniently located 10 minutes from the theater and which offered four bedrooms, a swimming pool and a billiard table – all for about 1/3 less money than a hotel would have cost. Score! Cutie Liam who was attending with a broken arm. Poor little guy. 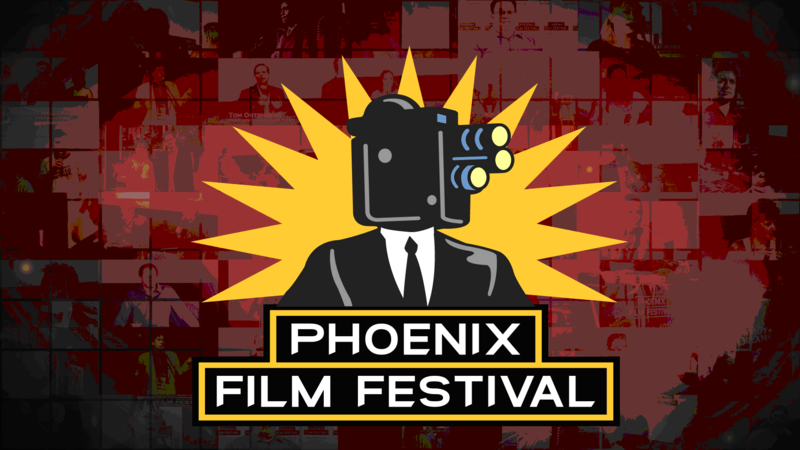 The Phoenix Film Festival always officially begins on a Thursday and runs through the following Thursday although the ‘unofficial’ end (at least for the filmmakers) is Sunday evening following the festival awards. They throw a filmmaker dinner on the Wednesday eve prior which serves as a nice meet and greet – not only for filmmakers to become acquainted with each other, but also to connect with the guys who run PFF: Chris Lamont (president & founder); Jason Carney (festival director); and Greg Hall (feature film head programmer) amongst others. It’s always exciting when Thursday rolls around and the ticket office officially opens. Filmmakers and patrons alike line up to get their festival passes, programs which give the schedule of the festival and, of course, their tickets. When 5pm rolls around, the Party Pavilion opens and that’s when the alcohol starts flowing. There’s always an opening night film – usually some award-winning star vehicle that won something at Sundance – and an introduction to the many generous sponsors who support the festival. The crowd then returns to the Party Pavilion and THIS is where the fest really begins. I’d like to say that I am an altruistic festival attendee, and that I summarily read my program cover to cover, determine what films interest me most, and then spend the next three days in back to back movies for 8 hours straight, but that’s generally not the case. 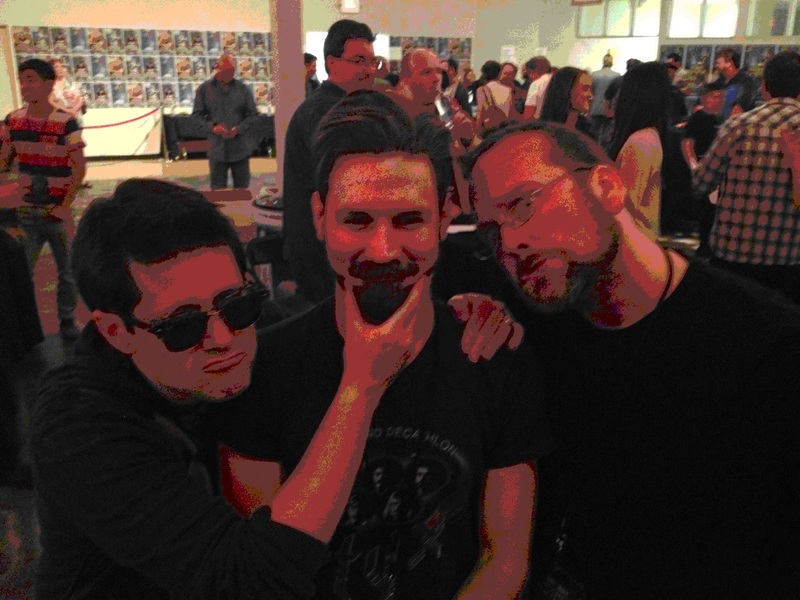 Perhaps as a patron that would be a possibility but as one of the filmmakers, you have not only the screenings of your film to attend as there are Q&A’s after each one, bit often times you’re tapped to participate in panels the festival puts on throughout the course of the weekend. So your time is more limited that you’d think. And then, when you’re not recovering from the previous night’s party or 3am Chevron Food Mart “Chaco Taco” run, you usually end up seeing the films of fellow filmmakers with whom you’ve bonded over cocktails at the Party Pavilion, or the films that have buzz that you worry might be competition for your own film. It’s supportive and calculated simultaneously. Overall, the lure of being a filmmaker at independent film festivals is this: You get to spend a few days playing celebrity of sorts (there is usually local press coverage), hanging with your cast and crew as well as like-minded filmmakers to whom you have complete and utter access (and who become your BFF’s after a couple of cocktails) and mainly, you get butts in seats and eyeballs on your film. Praise is a powerful drug when you have folks sticking around afterwards to ask you questions about your movie or wanting your autograph. The immediate gratification (“immediate” being a relative term after months if not years working on your film) is awesomely validating and the camaraderie intoxicating. Then the festival comes to an end, and you have to make that long and lonely flight or drive back home, returning to your ‘day job’ and daily responsibilities but hopefully with some additional Facebook friends and new additions to your Twitter feed. Luckily for Paul and I, returning to our day jobs is still pretty cool (we both work in motion picture marketing) and our daily responsibilities are pretty joyous at the moment with our two year old. So we are thankful for our week of artistic debauchery courtesy of the Phoenix Film Festival, and we look forward to the next one. Leslie Wimmer Osborne works in Creative Content at Paramount Pictures and is a producer/co-owner of Conspicuous Pictures. Follow her on Twitter @lwimmer2u.